I think there comes a point in your relationship when you realise that you have got so caught up in the chaos of everyday life that you need to take a step back and spend some quality time together. This moment for us came when we took a trip to Sherwood Forest in December. We were both knackered (Eric had been going through a bit of sleep regression) and stressed out. And because of this, we were just getting on each others nerves. There came a point during our week away where I had just had enough. It was time for us to chill the f*ck out, and I knew just the place to go. Having visited the Aqua Sana before, I knew it would be the perfect place to unwind. The last time we were at Sherwood Forest they were working on a big refurb. The new space promised bigger and better facilities, with two floors and six spa zones offering a whopping twenty five spa experiences! We arranged for Eric to be looked after, and on the Thursday morning we headed to the Aqua Sana for a three hour session of pure relaxation. Stepping into the spa was like stepping into another world. No phones, no TV, no internet......just absolute calm and quiet. It was blissful. Our first port of call - Sole Therapy. An area zoned off by glass walls filled with individual foot spas. Having remembered how relaxing an experience this was from our trip to the Aqua Sana at Woburn Forest, we knew this would be the perfect way to ease ourselves in to our visit. The seclusion of the area gave us enough time and space to clear the air with each other and start afresh. Our next stop was the heated outdoor pool. 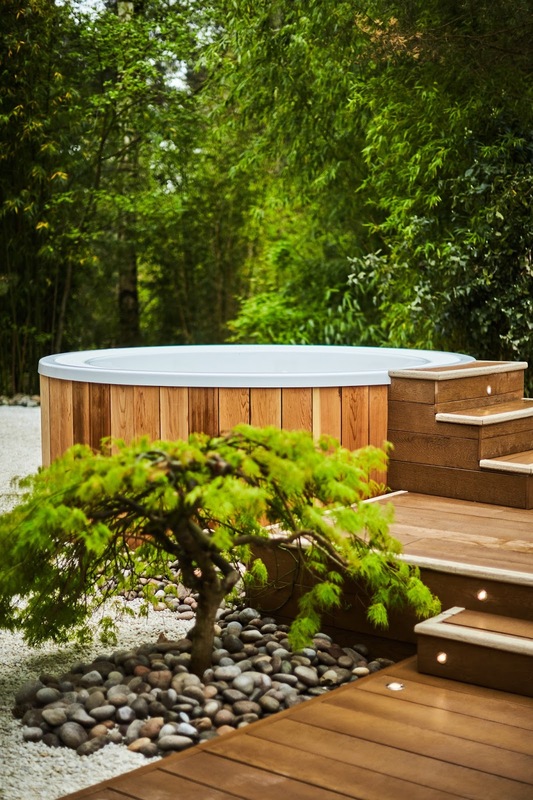 Based in the centre of the spa complex, the pool is entirely secluded in what I can only describe as a hidden grove. 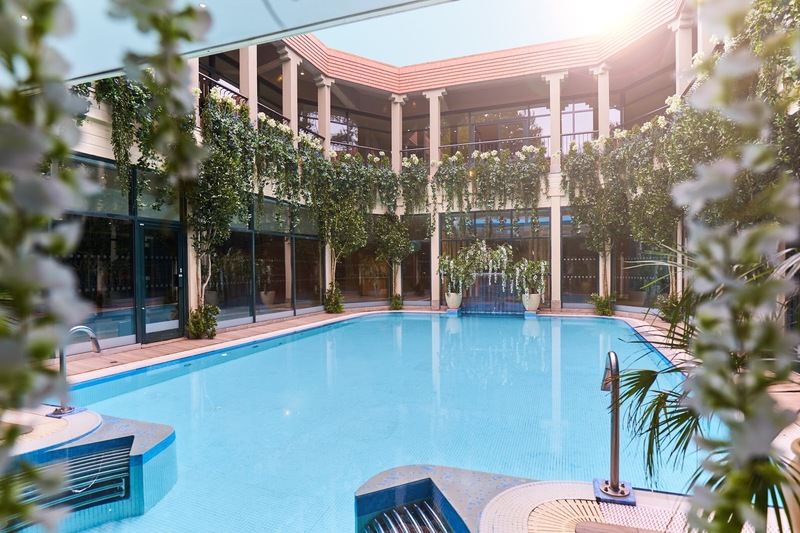 It feels like you are swimming in a Roman palatial garden, with foliage decorating the pool surround and hanging down from the balcony area above. With jets of water to ease muscular tension and an open jacuzzi at the back, it is the perfect place to both unwind and get in some gentle exercise. Wanting to maximise the most of our time, we decided to check out the facilities downstairs before heading to the upper level. Now - I appreciate a sauna and steam room but there's only so much heat I can handle. This isn't an issue at the Aqua Sana - with so many experiences within the one space it is really easy to tailor-make your own visit. And this is what we did. Ryan had pretty much decided that he was going to venture into all the rooms, whereas I wanted to go at my own pace. The Nordic Sauna and Alpine Steam based were exactly my cup of tea, and where we investigated next. The Finnish style Nordic Sauna is glass-fronted, looking out into the natural foliage and greenery that Center Parcs is known for. 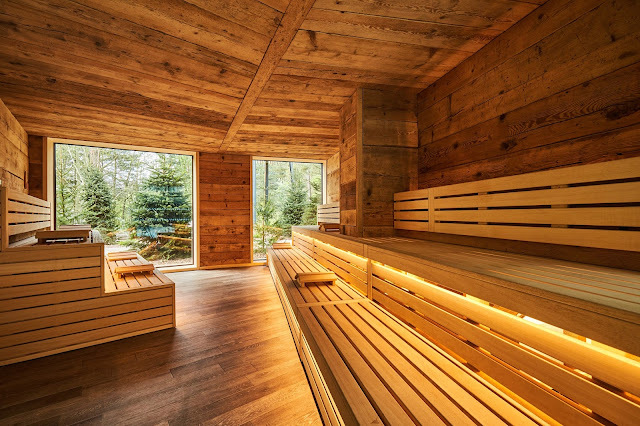 Temperatures range between 80 and 100 degrees and humidity 3 to 15 percent, which both seem a lot but in reality are ideal for those of us who appreciate a toasty sauna experience rather than something that is roasting hot. We spent about 10 minutes here before moving on, which was ample time to feel my muscles start to unwind. With a quick stop at the Rainfall Shower Walk to break up the heat with a blast of cold, we stepped inside the Alpine Steam room. 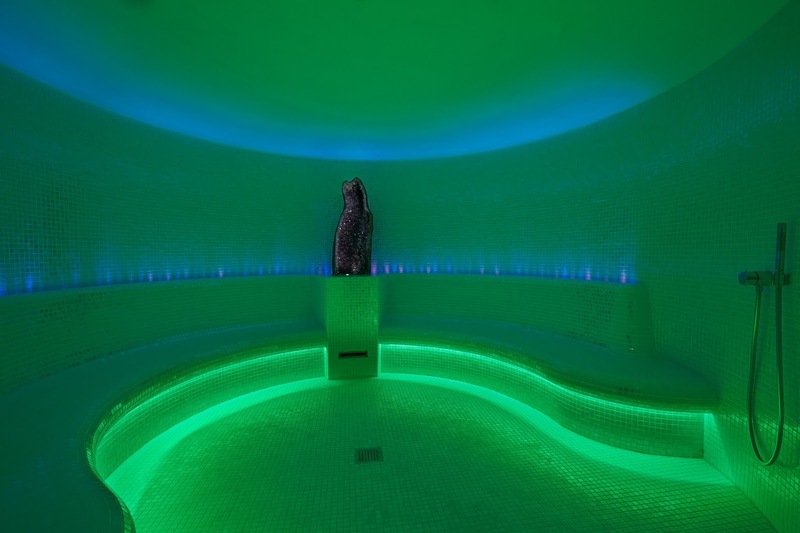 Being a self-confessed lazy girl when it comes to maintaining a skincare routine, I was so happy to see that the Aqua Sana had several steam room to try. The Alpine Steam experience however was the only one I ended up using on our visit. With infusions of eucalyptus and menthol, I almost could feel my skin sighing with relief that I hadn't forgotten about it. 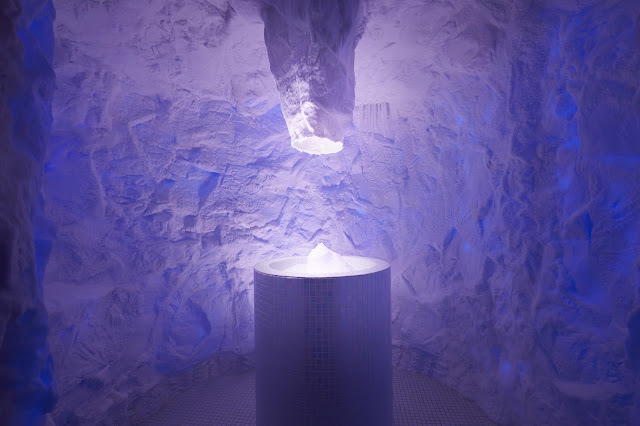 With Ryan wanting to investigate the other saunas and steam rooms, we took a quick pit stop in the Ice Cave before grabbing our robes and heading into the Scandinavian Snug, where I was planning on planting myself for a bit. Well - this area turned out to be one of my favourite aspects of the Aqua Sana. With a large sofa that is perfect for cosying up on, snuggly blankets and footstools scattered around the room, I could have stayed there all day. Magazine in hand, I had every intention of just settling down to doing some reading, but in fact I found the space so relaxing I had a snooze instead. When Ryan came back in to find me, I half jokingly asked if we could replicate the Scandinavian Snug in our back garden. The answer is currently no, but I am not giving up hope just yet! Having spent quite a lot of time downstairs, we headed to the first floor - the Forest Canopy - to see what lay in store for us there. Overlooking a canopy of trees, the upper floor of the Aqua Sana seemed to have been planned with the idea of meditation, reflection and relaxation in mind. 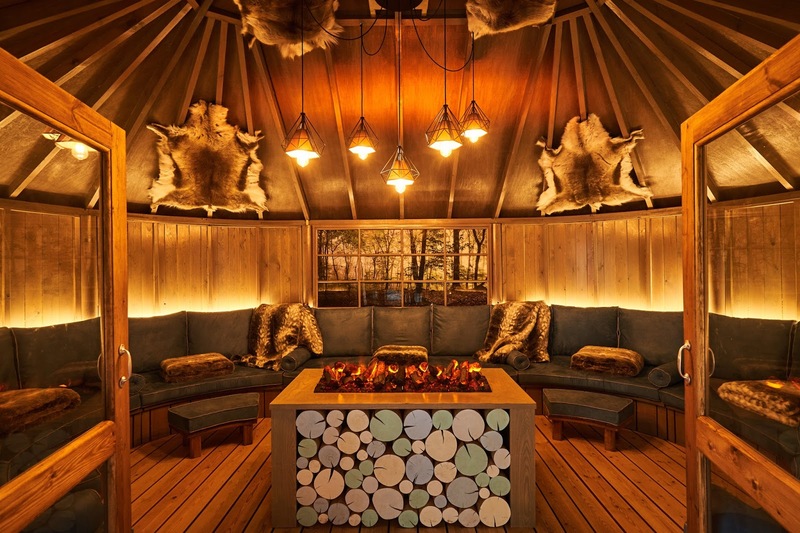 With Ryan wanting to head to the Treetop Sauna, I chose to snuggle down in the Deep Relax area - a calming space with water beds and candles that's ideal to plant yourself if you just want to take some time out to relax. Being a busy mum leaves me very little time to just sit and do nothing, so this is exactly what I needed. Finding a single bed tucked away in a corner, I simply lay in the dark and did nothing. And it was heaven. I think my mind completely switched off because I don't even know how long I was there. But I was so calm and contented after getting up that it felt like I was walking on air! We spent a little bit more time upstairs before heading back down to have one last swim and see if there was any space in the outdoor hot tubs (which unfortunately there wasn't). Then before we knew it it was time to leave. Rejuvenated, reconnected, and totally relaxed, we headed back, both wishing that we could have stayed just that little bit longer. Offering everything from spa sessions for Center Parcs guests to spa days, breaks and treatments, the Aqua Sana is the perfect place to unwind. It may seem like a little luxury, but for what we got out of it, I think it was money incredibly well spent. The spa itself is so well thought out that even if one experience is a little busy, there is always something else to use. You never find yourself at a loss. And with such varied facilities, there really is something for everybody, no matter what you want to get out of a spa trip. In the three hours we were at the Aqua Sana, we barely scratched the surface of all there was to do. Being there is like being in a bubble, where time loses all meaning. Because all you know is how relaxed you feel. With a new year having dawned, there is no better reason to practise some self-care. 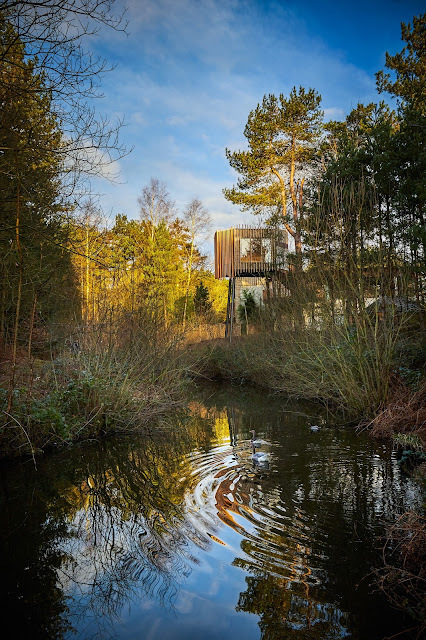 And if you are in need of a new year getaway or already having a holiday to Center Parcs booked, the Aqua Sana is well worth a visit. With its calming ambiance and vast range of spa experiences, it's the ideal place for ultimate relaxation. And once you've made your first visit, I can guarantee you'll want to go back again. I can't recommend it enough. We left feeling so relaxed and care free. It's definitely worth a vist - especially if you are carrying a lot of stress around with you.